Soon we will be packaging EFI kits (computer included) to help take the guessing work out of it for some new comers. What EFI system are you considering? Any timeline on when these will be for sale? We will be using the Megasquirt system allowing for a simple electronic distributor with locked timing to be used (lean burn being one of the easiest to find). The Mark II is on sale now and the Mark II-R has 3-4 week wait. Just tell us you want one and we will put you in line. You won't pay until the product is ready to be shipped and if you decide against it at that point no worries. Remember to mention slantsix.org membership and your username, so that you can receive your discount. This discount is combinable with most other sales and promotions. What do you recommend for a throttle body, injectors and computer? He has rebuilt Jeep TBs on the for sale page. I would go for something like 24 lb/hr injectors on a mild/medium 225. There are a million ECUs/computers out there. Many of us on this site are running Megasquirt systems (msefi.com and diyautotune.com). Dart270's recommendation is perfect. We offer jeep throttle bodies that have been over bored to 62mm with other flow mods done. We recommend the Megasquirt due to its massive popularity among slant six enthusiasts and its fantastic technical support. Our current project (Lab Rat) has a shaved head (roughly 9.0:1 Compression) and 2.5" exhaust. 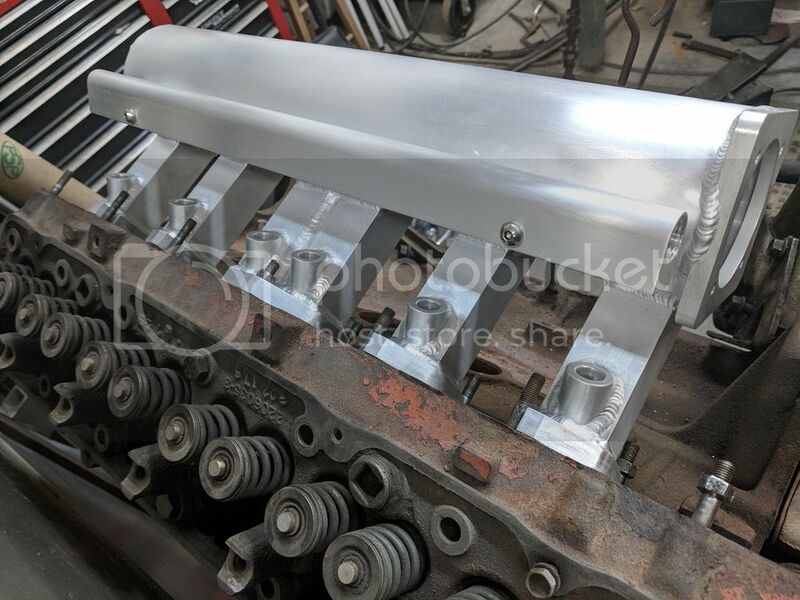 (The blog on Lab Rat hasn't been updated to show these changes) We are currently running the stock exhaust manifold. It runs amazingly well. Previously the car had both a single barrel and a two barrel Holley 500. 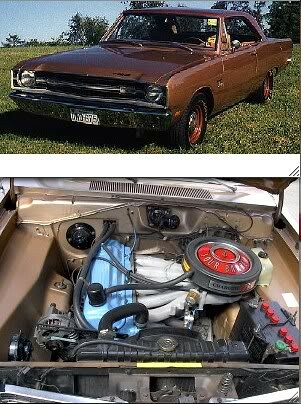 Our manifold with fuel injection made an amazing difference. The manifold can support up to a 70mm throttle body. The manifold will support a lot more hp than a stock manifold, especially if turboed. The Mark II has compactness in mind allowing for many factory accessories. The Mark II-R is designed with more high performance in mind. Both the Mark II and Mark II-R weigh under 13 Lbs with packaging. For anybody ordering from here be sure to PM me or Contact us at http://www.gillwelding.com make sure I know your user name and I'll give you a members discount. (This can be applied with most sales and promotions). We can also order other parts from diyautotune, 14point7 and Torqstorm, not just our prepackaged Kit. Your member's discount will apply. Thanks for Sharing that Yost. I have Been Running a 4.0 Jeep TB with Megasquirt Conversion on my 79 Volare for 10 years now. It has a clifford manifold with a custom intake tube before the 4 barrel adapter plate. I would be interested in trying the overbored 4.0 Jeep TB someday to see if there are gains to be had. I believe I am Running 34#/Hr Injectors which are waay more than adequate and could be an okay choice if going from NA to Boost in the future. Other than the Megasquirt and More compression and headwork and larger valves the shortblock is stock with stock 1979 cam. Cheers and Thanks for the updates! 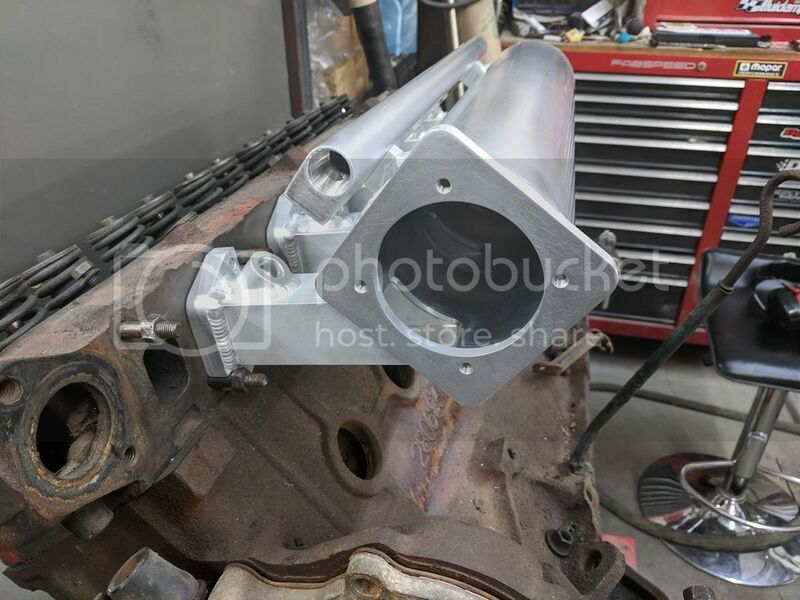 Just an update on this, I've attached some images of a finished Mark II-R the throttle body mount is changed from the earlier CNC drawing to allow for exhuast clearence. This one is in route to moparfrank. It looks amazing!! Do you have any videos of it on working vehicles? Also, an installation video (setting up Megasquirt) would be great! Thanks Rick we appreciate that. We don't have any videos of this manifold since we just started selling them. The owners haven't had a chance to put it on their vehicle. We have a startup video on our website of the Mark II not the R. http://www.gillwelding.com Look under the blog section for Lab Rat. We are hoping to get more customer videos soon as they get things together. As for the Megasquirt information It's hard to give a good video due to so many personal choices and variations. That being said we have a general EFI pdf that can act as a loose checklist. I am more than willing at answer as many questions as I can. Just shoot me an email at contact@gillwelding.com That goes for anyone that has any questions. Nice - We are having a banquet this weekend in southern PA.
Next year its scheduled to be back in The Knox / Sevier County area - would love to see you guys there with some parts! Thanks for the feed back. We wanted to go this year, but time slipped by and we made a few prior commitments. We will definitely be at the next one. Lab Rat should be turboed by then. We will try to have both manifolds, a couple fuel rail and bung kits, and if it works out our in the works SS turbo header. Is there a news letter we can sign up for to get reminders? Keep an eye on the events calendar section of the forum.